Here's what happened to me after months of elbow pain. My right shoulder tendon snapped (called long tendon) from the shoulder to the bicep. Now I have a popeye bicep muscle. When I went to the doctor about the shoulder tendon he suggested I have a steroid shot for my elbow. Don't know if the tendon snapping had anything to do with the elbow pain. After a few weeks the elbow improved and I have been playing painlessly since. Decided not to have tendon repaired and it hasn't affected my game at all. Actually it doesn't hurt except on rare occasion when using a screwdriver or some tool when your hand goes from palm down to palm up. I do still wear the elbow elastic band. I’ve been using one and it does help some. Had to have a shot in elbow a month ago and it has helped the most. Still have some pain but hopefully getting better. It has bothered me for 8 months. About 2 months ago one of my tendons from shoulder to bicep snapped. Now have popeye muscle. I've had golfers elbow for the past 4-5 months. Ice regularly, use ultrasound machine, exercises and it is finally getting better. I wear a stretch arm band that goes up next to the elbow when playing. You can buy them at any drug store. When it was at the worst I couldn't touch the inside of my elbow bone. Two weeks ago I went to the doctor to get a steroid shot and he didn't want to give me one. Said this area is very tender and with not much padding sometimes the steroid shot will not dissolve and will leave a permanent knot on your elbow. I registered as I'm a veteran and the discount is 10% which equals $60 on a $600 pr of prescription sunglasses. Not sure how its hundreds? I'm in the red on all clubs except the driver and between the purple & red on driver carry. Closer to purple on my gap and pitching wedge. From 120 to 100. How long did it take you? I started playing when I was 35. Don't think or at least cant remember ever having a 120 but certainly many rounds between 100-110. Took me almost a year to break 100. Personally I think it depends on your athletic ability, practice, feel, lessons, etc on how quick you get to where you want to be. Its a game that requires practice for most of us if you didn't start the game at a young age. CSkipr replied to Bucki1968's topic in Balls, Carts/Bags, Apparel, Gear, Etc. Okay I have now tried out several different new balls and here are my thoughts. From Pinnacle Soft went to Wilson Duo Spin, Volvik Vibe and most recently the Callaway Chrome Soft X Turvis. I felt like all of these balls have a soft feel with good distance. Could not see any noticeable difference in distance. Spin around the green with Volvik and Callaway slightly better. Do love the turvis look (yellow & black) on the Callaway Soft as I can see and follow the ball much better. No I'm not a GT grad. Still have found on occasion they will all go in the woods or water. Booking tee times as a single? At many of the courses around its difficult to get someone to answer the phone at the pro shops. Everything is booked through GN or another similar site. Even when I left my phone in the cart I tried calling back without success. Drove back and got it. I've played Pro V1x for the past 21 years. Recently I played with a friend who switched to the Pinnacle Long & Soft from Pro V1s so I decided to try them out. Amazed at the length and the softness of the ball. Shot 79 yesterday best round this year. $15 dz. I'm going to continue to use them and see what happens to my game. In my opinion there are a lot of good balls out there today and some may fit your swing better than others. We just got all new range balls at our course and they only travel 75% of the normal golf ball. There Callaway balls. Not sure if its a reduction in compression or what makes it only go 75% but thats all they go. I can only hit my drives 200 yds at the range. Your launch angle and spin are very high. Would think launch should be somewhere around 12-13 and spin 2500 or below. You didn't mention what degree loft driver you are using? 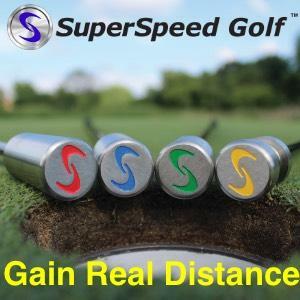 You could be hitting down on the ball, the ball might be a high spin ball, shaft, etc. Is this a new driver for you or just the first time to a simulator.